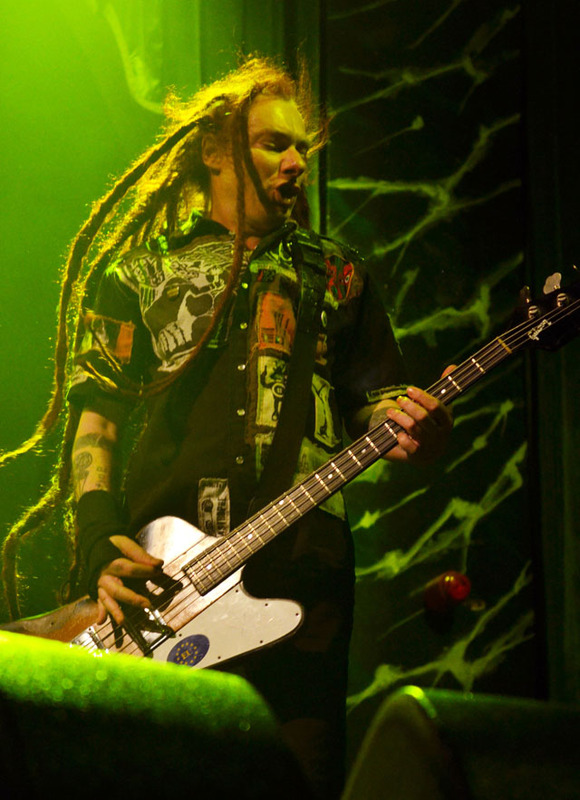 Share the post "Gig review: THE LEVELLERS – Liquid Rooms, Edinburgh,18 December 2013"
When it comes to The Levellers I’m afraid I would consider myself a lapsed fan. For many years I bought the albums and attended gigs whenever possible but my attention did drift for a long period through no fault of the band. Over the last couple of years though my interest has again been raised by a series of ‘album’ tours with the guys playing classic albums in their entirety and when I saw these dates announced with the band playing the whole of ‘The Levellers’ album, I knew it was time to get myself reacquainted with the band. 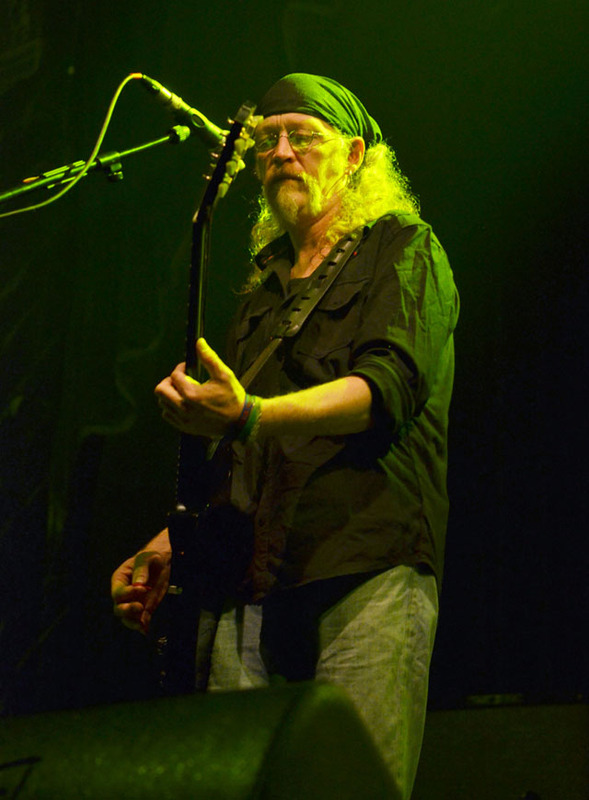 Support tonight came from Panjenix, with singer and guitarist Iain joking that it had taken 25 years to end up supporting The Levellers in Edinburgh. Usually a trio, they were stretched to a four piece tonight by the addition of a percussionist playing what looked like a bongo sized full drum kit, new one on me. The band are well weathered travellers with good songs and great enthusiasm which went down well with the crowd. The songs covered subjects as diverse as political leaders and Rambo but all were played with an infectious urge that won over the crowd. There were a few timing issues here and there and a bit of feedback on occasion, but nothing could detract from what was a fun set. On a festival bill Panjenix would go down a storm. The Levellers however were nothing short of stunning. Their self-titled third album was the disc that first introduced me to the band and one that took up almost permanent residence in my car stereo for a couple of years in the early 90’s. The first part of tonight’s set was said album played in full, so the band took to the stage to the taped intro for ‘Warning’ and, for the next 50 minutes or so, reminded me of what I had been missing in my ‘lost’ years. From the urgency of ‘Warning’ and ‘100 Years Of Solitude’ to the full on carnage of ‘Dirty Davey’ and ‘The Circle’, the band never missed a beat. The sold out crowd were loving every minute, bouncing around and singing every word back at the band. The highlight of this part of the show though was ‘Julie’ which featured a fantastic vocal performance from Mark Chadwick and was followed by Jonathan on violin playing along with a guest piper on the outro of the song which received one of the biggest cheers of the night. Another rousing cheer went up as the didgeridoo made its first appearance of the night at the start of ‘This Garden’. The album section was rounded off with a hard hitting version of ‘Belaruse’ with great guitar work from Simon. The band have a known dislike of this album with Mark describing it onstage as their ‘folly’ but it’s replaying tonight just served to remind me and all others in attendance what a great rock album it is. With the album out the way the guys played a couple of B-sides before entering more familiar ‘greatest hits’ territory. The songs came thick and fast, ‘Battle Of The Beanfield’, ‘ Carry Me’, and my personal favourite, ‘Riverflow’, were all greeted like old friends and the crowd danced for all they were worth. The main set was rounded off with a rapid version of ‘Cholera Well’ which raised the temperature even further. The band still had more to give though and returned for ‘Three Friends’, a mass singalong version of ‘One Way’ and finally finished things up with a chaotic ‘ Just The One’, complete with brass section. 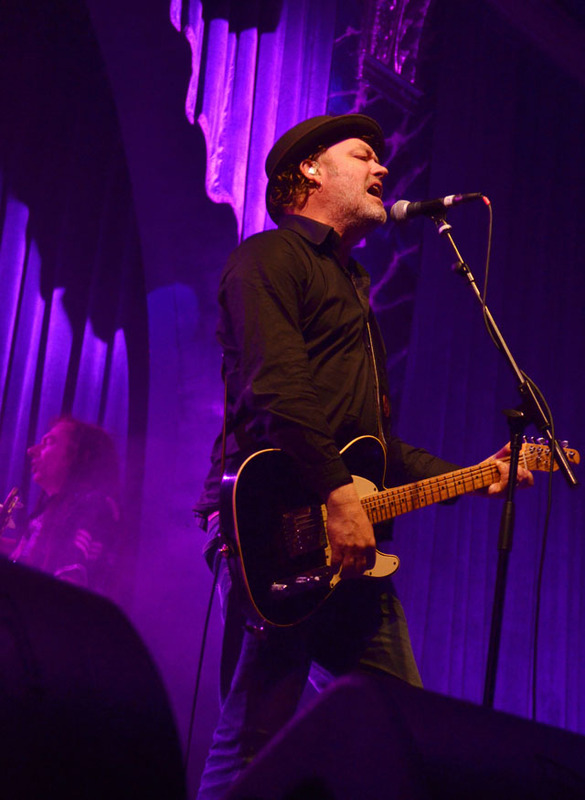 The Levellers are one of those bands who fly under the radar in the music business but still retain a large and loyal following and on this showing it is easy to see why. The guys provide a fantastic night’s entertainment with an amazing soundtrack which leaves you with a huge grin. Perhaps because of their low profile I had forgotten just how good they are, after this showing I won’t forget again in a hurry! This entry was posted in All Posts, GIG REVIEWS and tagged 18 December 2013, Edinburgh, folk, gig, Liquid Rooms, live, Mark Chadwick, Panjenix, review, rock, The Levellers. Bookmark the permalink.